MEA Members heard from two leading economists/forecasters over the past 3 months. Both project strong economies for the next several years which will have an impact on salaries (rising as critical resources become more scarce) and the face of the workforce as more Baby Boomers feel confident enough to retire and the percentage of Millennials in the workplace continues to rise (Currently over 25% and expected to rise to 50% by 2020). As reported in our Business Trends Survey, MEA Members are already expressing greater concern over retention (40%) which will only worsen as unemployment declines. For example, 20% of Survey participants already expressed difficulty hiring entry level positions! More and more companies are examining their Culture and Core Values as a critical business tool to motivate, engage and retain their talent. Recently, I separately read about 3 great companies with very different Cultures and Core Values which work for their Business. 1. Wawa – Servant Leadership (SmartCEO Magazine). If you are a Wawa junkie like me, you know they outdo everyone else in the fast food/convenience store category. 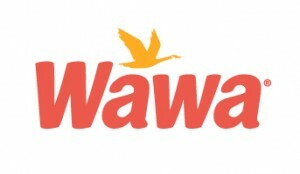 Their mission is concise – to simplify their customers daily lives – but what is unique is their complete adoption of servant leadership principles to remove obstacles to providing great service and make associates jobs easier since they are the face of the Wawa brand. The Servant Leadership principles are based upon the 1970 essay by Robert K. Greenleaf. Wawa leadership expresses their Core Values through Servant Leadership in many ways including Values Champion luncheons where leaders go out to serve lunch to a store that goes above and beyond to fulfill the Core Values, an annual Living Values Storybook, extensive management training on servant leadership, store tours where Management chips in to help instead of looking over their shoulder, a charitable “Associates in Need Fund” towards which 10,000 associates contribute, and an ESOP supported by the company each year. 2. Netflix – Be Honest and Treat Employees Like Adults (Harvard Business Review). We all know how Netflix has and continues to reinvent their business from DVD rentals to streaming video to original programming (who else LOVES House of Cards). During 2013, its stock price tripled, its US subscriber base grew to 40 million and it won 3 Emmies! Patty McCord, their Chief Talent Officer for 14 years, has become very visible as a consultant helping tech and innovative companies rethink the way to manage their workforce. Here are a couple of Netflix principles that made her an un-HR, HR Business Leader. Hire, Reward and Tolerate Fully Formed Adults. She eliminated many costly and time consuming HR policies and practices such as PTO, formal travel and expense policies which are really there to manage the 3% of abusers and which lead to so much costly administration. Rather, they invest in hiring talented, responsible people and are quick to let someone go if they made a hiring mistake. Eliminated Formal Reviews and PIPs. Many companies are eliminating formal reviews. She notes these are mostly driven by fear of litigation. She also believes that Performance Improvement Plans rarely work so why delay the decision. Netflix focuses on training managers to provide meaningful coaching and conversations about performance as part of a manager’s core responsibilities. They often employing a simple 360 review to identify things you should stop, start or continue (similar to the OPTM 360 available through MEA). When an employee no longer fits or isn’t performing, she advocates being honest, generous on the way out through severance and obtaining a release dramatically reducing the chance of litigation. A lot less costly and less stressful. Hire only A players because A players hate to work with B players. A philosophy embraced by Steve Jobs as well. Compensation Policy. 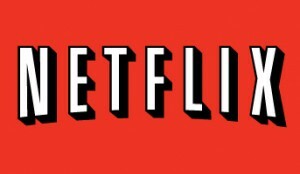 Netflix does not pay performance bonuses. Rather, they focus on hiring top talent and paying market rates. They also let employees choose the mix between salary and stock options which are priced at a slight market discount with immediate vesting. They also do not handcuff employees; if someone wants to leave they do not want them there. Managers own the Job of Creating Great Teams, Leaders own the job of Creating a Great Culture. Enough said. Also be aware of the needs of a split culture, such as between engineers and sales teams or salaried professional and hourly workers. During 30 years in business I’ve never seen an HR initiative that improved morale. HR departments might throw parties and hand out T-shirts, but if the stock price is falling or the company’s products aren’t perceived as successful, the people at those parties will quietly complain –and they’ll use the T-shirts to wash cars. Instead of cheerleading, people in my profession (HR) should think of themselves as businesspeople. What’s good for the company? How do we communicate that to employees? How can we help every worker understand what we mean by high performance. 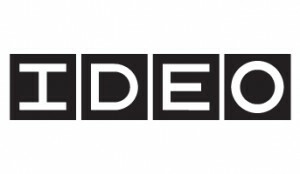 IDEO – Collaborative Helping (Harvard Business Review). A global design innovator (designer of Apple’s first mouse), IDEO has a culture of high creativity and knowledge workers. In order to foster helping, it is embedded in both their culture and design processes. They don’t use fancy collaborative technologies but focus on the core value of making others successful and asking for help and giving help. Some of their principles are that a team should be assigned 1 or 2 helpers (non-team members) to give input. The key characteristics of their best helpers are: 1) expertise in some category although not necessarily where they are asked to help; 2) trust (they will not embarrass a “helpee”), and 3) accessibility. The last two are the most important. Internally an IDEO office is networked by helping relationships which are large and diverse. See their process process in action. So before you follow someone else’s playbook, think about how your culture and values can make your business successful.